Unicol design and manufacture Pro AV mounts for projectors and large format displays suitable for a wide range of applications. Established in 1963, in Oxford, Unicol has been at the forefront of design and manufacture of AV support equipment. For over fifty years it has remained true to the principle of innovating robust, versatile and dependable products. 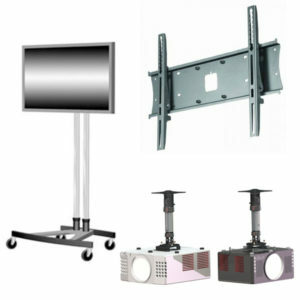 We supply a full range of Unicol Video Display Mounts. Please contact our Sales Team who will be happy to offer pricing and advice to find a solution that meets your requirements.